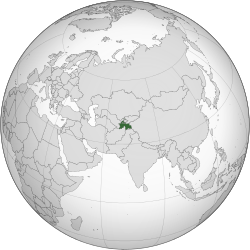 ↑ Constitution of the Republic of Tajikistan, 6 November 1994, Article 2. ↑ "В Таджикистане русскому языку вернули прежний статус". Lenta.ru. पहुँचतिथी 13 September 2013. ↑ 6.0 6.1 6.2 6.3 "Tajikistan profile at". International Monetary Fund website. पहुँचतिथी 22 अप्रैल 2012.